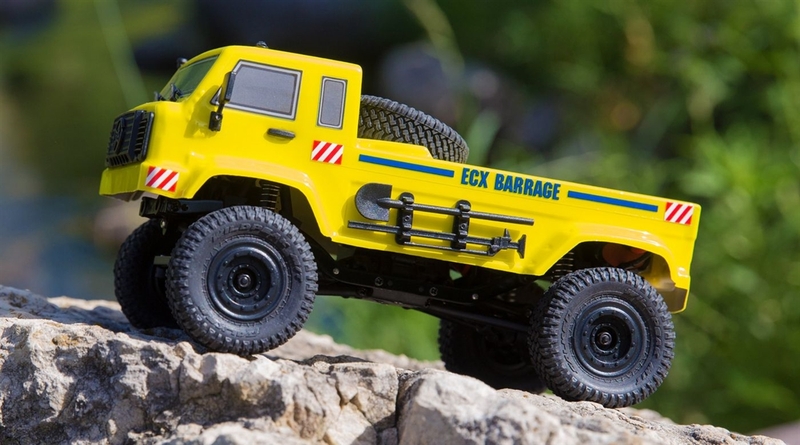 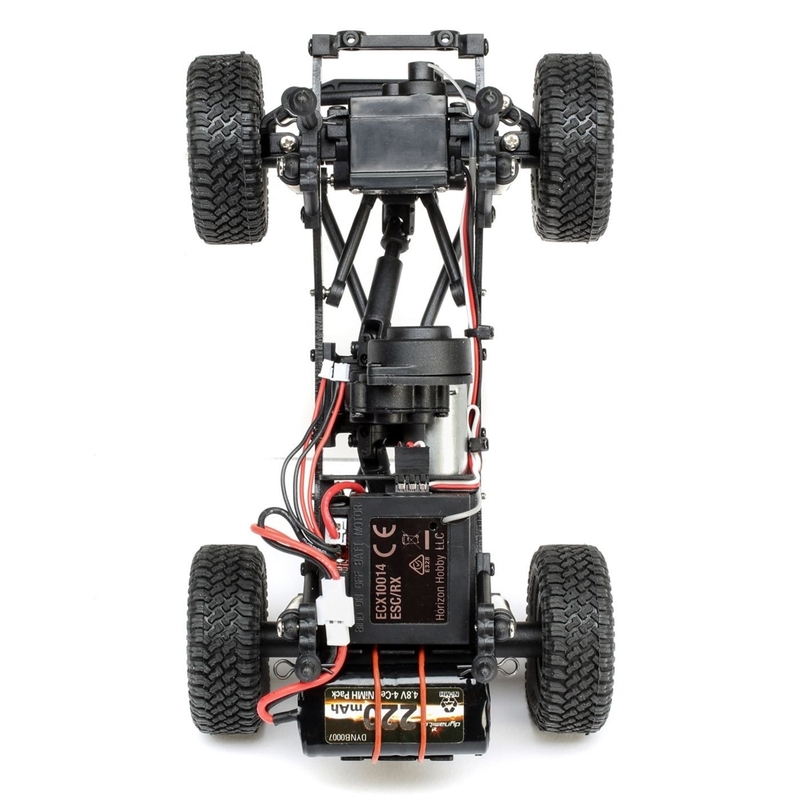 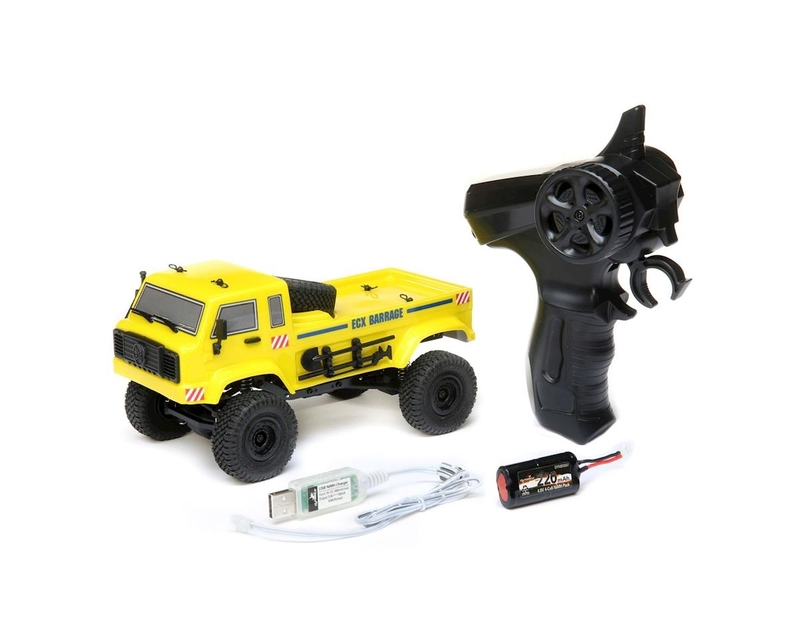 The introduction of the original 1/24-scale 4WD ECX® Barrage® Scaler set the industry on fire. 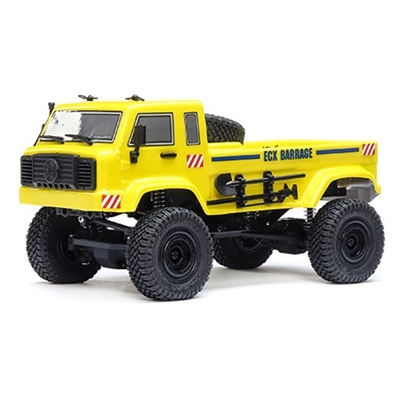 The Barrage UV takes that legacy and expands it with the inclusion of an incredibly detailed, stylish, but purpose designed scale body, officially licensed Falken™ Wildpeak MT tires, new dish wheels, and LED lights. 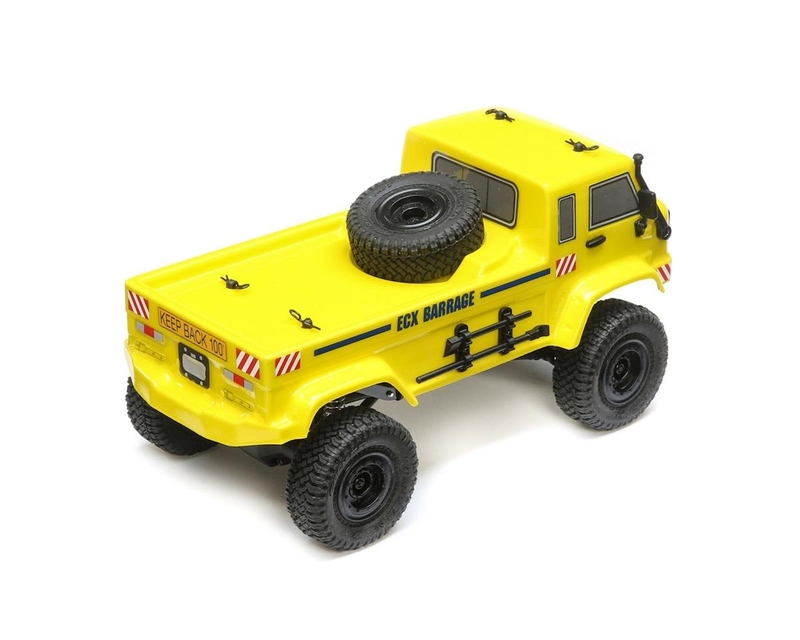 From the office cubicle to the kitchen counter, the Barrage UV tackles everyday house hold items like messy bedroom floors with ease and with its waterproof electronics splashes right on through mud puddles and dirt paths. 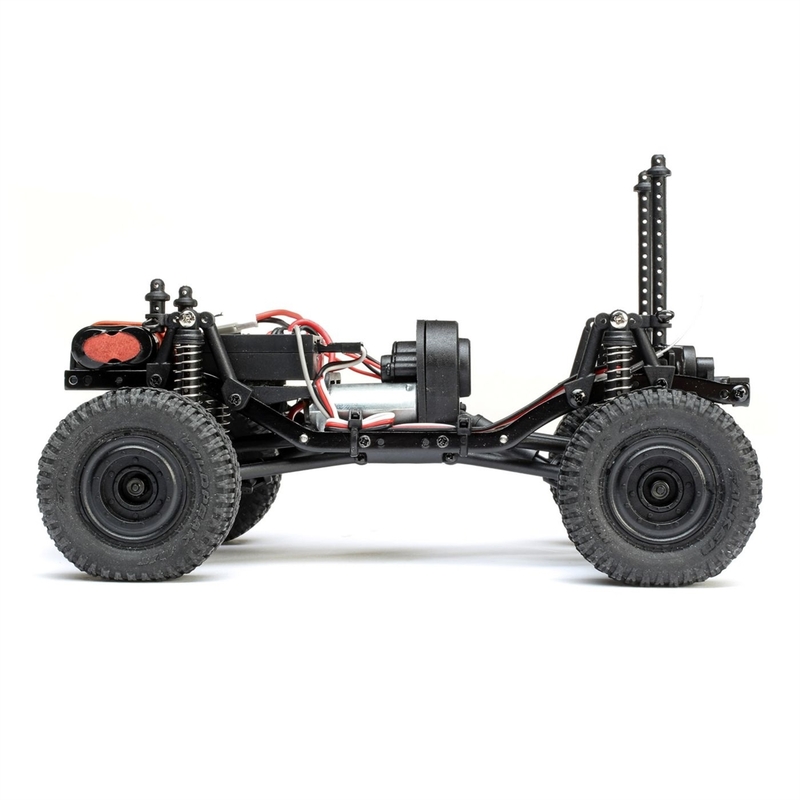 Plus, it features a beginner-friendly price without sacrificing performance or its incredible scale realism.